With the eggnog, my mother always served fruitcake and shortbread. I love a good fruitcake (if not homemade, then DeLuxe Fruitcake from Collin Street Bakery), but prefer it with tea. 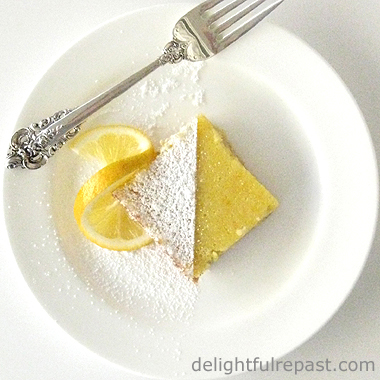 To me, eggnog (recipe below) calls for shortbread. When Walkers Shortbread offered to send me a box of products to try, I welcomed the opportunity. As you know, I'm only ever interested in reviewing high quality products or equipment that I would actually have on my table or in my kitchen. 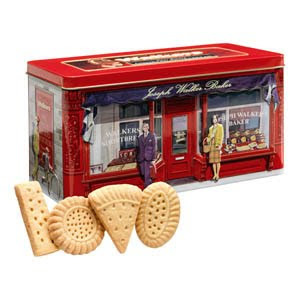 Though I hadn't yet tried any of the other sweet or savory biscuits from Walkers, I grew up eating Walkers shortbread. It was the standard for shortbread in my family, the only highly regarded store-bought baked good in a family of excellent bakers. Every different shortbread I or my mother (and probably her mother as well) made was compared to Walkers. And when you look at the list of ingredients, you can see how it can be compared to homemade. It contains only four ingredients: wheat flour, butter, sugar and salt. No long list of unpronounceable things that have no business in our food! The shortbread comes in several shapes (I like the fingers). Walkers has other biscuits (cookies), such as White Chocolate & Raspberry, Belgian Chocolate Chunk, Oat & Heather Honey (all delicious) and also savory biscuits for cheese. They even have an organic line now, Duchy Originals, which I would love to try, but it's not available outside the UK at this time. 1 At least nine, or up to 24, hours before serving time: In bottom pan of double boiler, heat an inch of water to a gentle simmer. In top pan of double boiler, whisk together egg yolks, sugar and salt until well blended. 2 Gradually whisk in hot milk and cook over hot but not boiling water, stirring constantly, until mixture thickens and registers between 160 and 170 degrees (but do not boil). Just pull a tall stool up to the stove like I do 'cause it's gonna take a while, about 15 to 20 minutes. 3 Stir in cold milk. Strain custard into a two-quart bowl; stir in brandy* or rum, vanilla and nutmeg. Cover and refrigerate until well chilled, at least 8 hours. *Actually, you could leave out the alcohol and let each person add his own favorite tipple or have it alcohol-free. 4 To serve: Whip cream until soft peaks form. With wire whisk, gently fold whipped cream into custard. 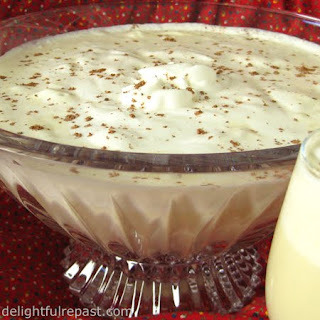 Pour eggnog into chilled 2- or 2 1/2-quart punch bowl or pitcher; sprinkle with nutmeg. Note: You might also like Hazelnut Shortbread and A Proper Cup of Tea. Well, I don't feel old, I don't look young, my immune system is on hyper-stoked, and I'll let you know if I'm pregnant next time I check the test strip (this was so much funnier when you could say "...when the rabbit dies). So I guess I was okay drinking raw eggs. Occurs to me now that I should have opted for the liquored up version on the theory that it might have neutralized some of that there "salmon..." stuff. Haven't knocked down a quaff of eggnog since chickens were invented, but you've made me thirsty for same. Your crafted columns never fail to stimulate appetites. They should pay you big-time for these. Merry, merry to you and the in-house beneficiary of all your good cooking! My wife is an eggnog fan, prefer a schnapps myself but I adore shortbread, it must be all that butter! Wow, eggnog and shortbread ... mmmmmmmm! I've never looked for Houseparty on Youtube but I think it could be worth a try! Marc Frederic, this recipe is soooooo much better than schnapps (even if I do say so myself!). I'm with you on the butter, though, mmmmmmm. Denise, thanks so much for stopping in! Hope you'll try the eggnog recipe. Well eggnog is not big over here in Oz, so I can't actually say I've ever had it, with or without the added enhancement of alcohol. I always look forward to Christmas as it's the time when my beloved breaks out the shortbread ingredients and cooks up a storm! Yum!!! This year when your beloved is making the shortbread, have her whip up a batch of eggnog to go with it. I'd love to get the reaction of two who have never had it before! Any good Eggnog (with please..., always 'with' alcohol) needs a great match with what its served with..., whereas I love a "good" eggnog I've always thought it needs just the right mate. I've never tried it with shortbread....., always fruity cakes and pies, going to try the shortbread and I may very well become a huge fan then. Thanks, Anna! I've always thought the fruitcake and the eggnog "compete" with each other, but the shortbread just quietly accompanies the eggnog! I like a little taste of eggnog but definitely not too much. This is a lovely recipe, such warm, festive flavors! Don't be afraid--I won't send my goons out after you! BUT you really should try this; it is an entirely different thing than what you've had! How much is a quart? In terms of servings, one glass per person, how many can I get from this? It is screaming Christmas Party! Mr. P, it DOES just scream "Party," doesn't it! A quart is just a tiny bit less than a litre. So a single batch of this would make about 8 8-ounce servings or 10 6-ounce servings. I usually serve it in a glass of one of those sizes. I've also served it in teacups, which are about 6 ounces (the saucer gives you a place to set your shortbread). I absolutely LOVE eggnog. I would probably drink it morning, noon, and night if I knew it wouldn't make me gain so much weight! I just made eggnog bread over the weekend....I will eat that with a big glass of the eggnog and I'm in heaven!! Yeah, that weight thing is a bummer! Being a food blogger is not good for the waistline! Mmm, eggnog! Funny, I posted a giveaway of Walkers (they sent me so much, I figured I would share!) and I posted an eggnog recipe with it. Great minds think alike. Thanks for stopping by, Carolyn. Always nice to have a visit from another "great mind"! YUM!!! This sounds like a cup of heaven!! Thanks for sharing, Jean!! Thanks, Bex! Hope you make it soon. I made it last weekend, guests loved it, one guy drank THREE glasses! Hurrah for homemade eggnog!! Ever so much better than the store bought. My dad and I make up a batch every year at Thanksgiving to usher in the start of the holiday season. (The recipe came from Good Housekeeping magazine nearly thirty years ago.) Being the very daring family that we are (not), we make it with the raw eggs, rather than the custard way, and the recipe actually has you fold in whipped egg whites and whipped cream at the very end, which gives the nog a really light and frothy taste, unlike store bought, which can be like a lead sinker. I love the frothiness of the whipped cream folded in at the last. Afraid I'm just not daring enough to brave uncooked egg whites for the froth! Even if I got daring enough for raw eggs, I think I'd still make it this way--I really think it tastes better. But, hey, you guys can't mess with tradition after thirty years! I tried your recipe for eggnog - delicious! We had shortbread too - I make it all the time, but also had rum cake, pumpkin tiramisu and ricotta cookies - it is perfect with those as well. It takes a little time, but it is well worth it. We will never buy store bought again. Thanks so much. So glad you liked it! I don't think the store-bought even has eggs in it! I have not made eggnog in years, but your recipe looks terrific! Since my husband's heart attack, I never make a recipe that calls for raw eggs - and pasteurized eggs are difficult to find. This is a "keeper". Liz, thank you so much! I do hope you'll try it soon and enjoy it as much as we do!